The Brazilian artist Mauro ‚Muretz‚ is mostly know for his street art work. He startet working with arts during his teenage years , after getting expelled from school, working his way up to a Masters Degree from Central Saint Martins University. 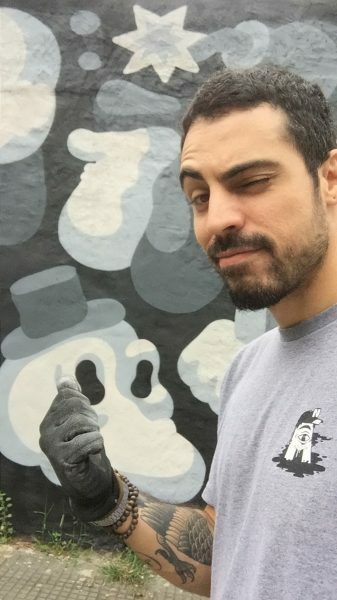 After graduating, the artist started painting on the streets – with success. 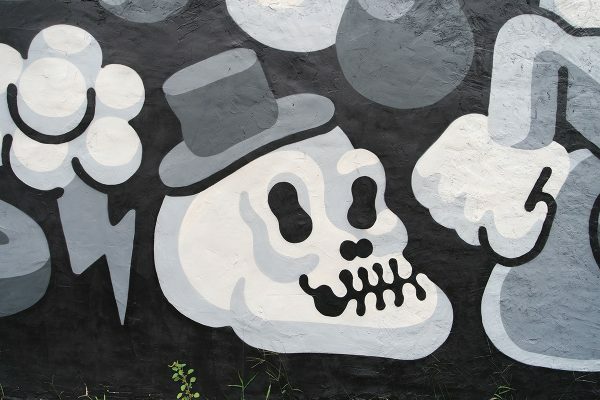 His works have been featured on street art publications, tv shows, magazines and newspaper articles around the world. 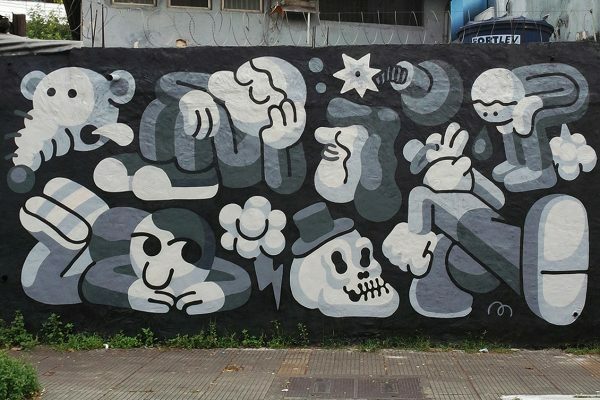 Right after his last solo exhibtion at Montana Galerie in Barcelona was ending, Muretz decided to repaint one of his older walls in Sao Paulo. He created this new, freshening collage, which is in some way familiar to us – using some of his signature characters and concepts. In this piece of art we can see a slightly different approach to his common flat illustrative style. He works with previously seen but now reinvented images, as well as couple of new ones, in a varity of shades of gray. There is this feeling of depth through use of tones from fill-ins to line work, background, and final signature. 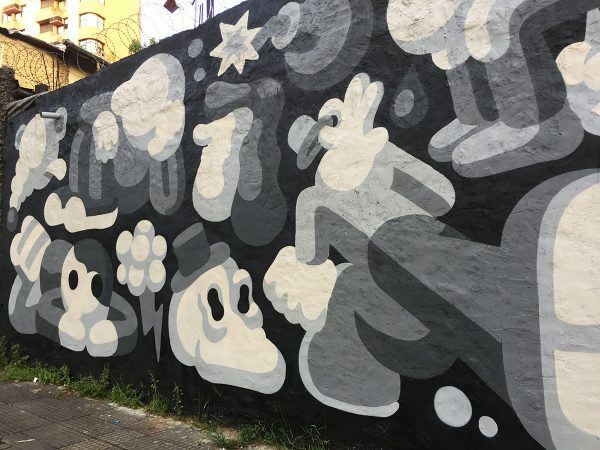 A mural that´s reinvented but still „Muretz“ in every splash of paint – reminding us why we always loved his crazy and charming work of art. Veröffentlicht in Drawings, Graffiti, Murals, Paintings, urban artGetaggt mit barcelona, Brazil, graffiti, montana galerie, Mural, muretz, streetart, urban artBookmark the permalink.